While most of us already know that plants generate the oxygen we breathe, more people every day are reading about just how effective they are in removing toxic chemical compounds and pollutants from our air. And while there’s plenty of clean, fresh O2 in the great outdoors around Brisbane, the sad truth is that because of the nature of working in a major metropolitan area, not many of us have the luxury of getting out there every day. Even sadder is what that means for our health: the impact of polluted indoor air is so great that it causes scientifically named cluster syndromes like SBS (Sick Building Syndrome)—syndromes that affect the lives of our workers and threaten the stability of our economy. But there’s another little-known fact about plants that could change our lives for the better. Most people aren’t aware that some of the highest-performing plant species will thrive in an indoor environment. 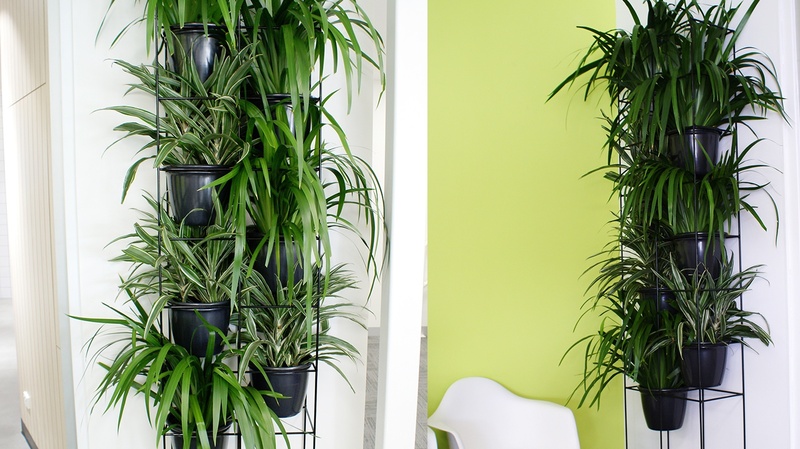 What’s more, they’re common plants: they’re inexpensive and easy to maintain while they’re busy removing pollutants from the air in our office spaces. If you’ve never thought about greening your workplace, you’ll be surprised to discover the humble plant species that could be giving your workers healthier bodies, clearer minds, and a better quality of life—while they’re bringing a touch of class to the face of your business. Succulents probably aren’t the first plants that come to mind when you think of oxygen-generating species. But in fact, they’re among the best performers when it comes to purifying your indoor atmosphere. Aloe vera is widely used for its health benefits. Its leaves are filled with clear fluid famous for its antibacterial and anti-inflammatory properties, and it’s known to promote wound healing. It’s also the perfect species for people who can’t reliably take care of living plants—aloes almost thrive on neglect, requiring very little water or attention. Succulents are also on trend in contemporary, minimalist interior design: in a geometric white pot, they’ll suit just about any office space. But the most appealing benefit is that it’s been proven to remove pollutants from the air; most notably, formaldehyde and benzene. Like succulents, spider plants are among the easiest houseplants to maintain. With bold white-striped leaves and the odd flower, they’re quite an attractive plant and will suit most interiors. They also multiply easily if you want to pot more of them. 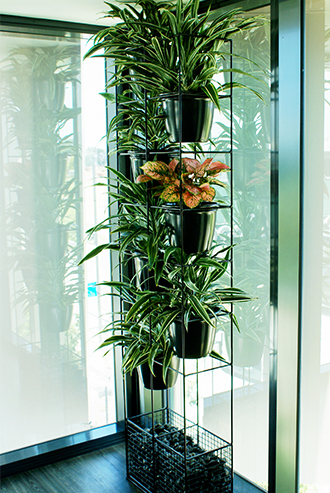 Besides being a good choice for décor considerations, NASA’s research into air purification has brought lots of attention to the other noteworthy benefits of spider plants. Their fast-growing leaves are adept at absorbing harmful substances from your indoor air, including mould and other allergens that cause reactions in sensitive people—and they can remove almost all of them in as little as two days. 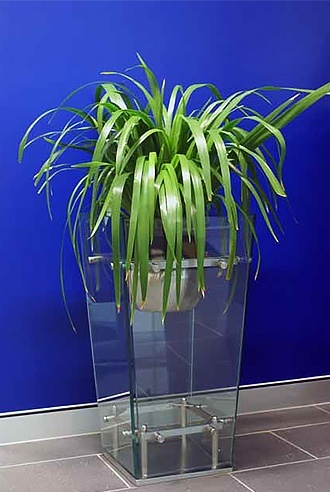 Spider plants also remove formaldehyde, carbon monoxide, and xylene, which can be found in many household and office items. Perhaps the star of all air-filtering plants is the Chrysanthemum. Inexpensive, equally suitable for outdoors, and with a range of attractive varieties, chrysanthemums are available in most nurseries and are often bought just for their beauty. They do prefer direct sunlight and are best sat or hung near windows; but other than that, they’re reasonably easy to care for. But chrysanthemums are more than just an archetypal Mother’s Day gift. According to NASA, this bright-flowered beauty can purify indoor air of just about anything, including trichloroethylene, formaldehyde, benzene, xylene and ammonia. These chemicals are found in many household and commercial products, including detergents and cleaning solutions, glues, paints, plastics, and paper products—items that fill most offices—so it’s a great excuse to bring a vibrant pop of colour into your tired old workplace. Another plant powerhouse of filtration is the peace lily. 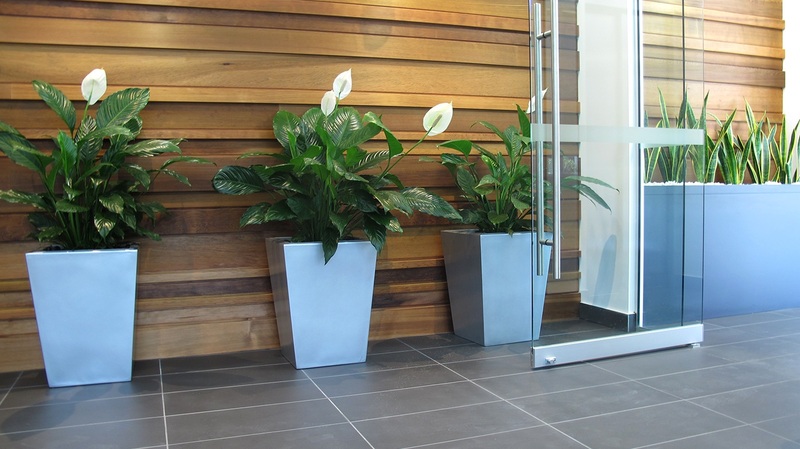 As hardy as it is beautiful, the peace lily will bring a touch of sophistication to your office space while it improves the indoor air quality by up to 60 per cent. Like spider plants, they dramatically reduce the level of mould spores in indoor air, absorbing them and digesting them for sustenance. They’re even useful in wet areas like bathrooms that are susceptible to mould, keeping tiles and blinds free of mildew. But perhaps their most impressive feat is removing common pollutants from indoor air, including carbon monoxide, benzene, formaldehyde, and trichloroethylene—all of which can be found in our work environments, whether they’re emitted from synthetic furnishings or office supplies. With very little maintenance, and the aesthetic of a living sculpture, peace lilies are a great choice even for high-end work spaces. 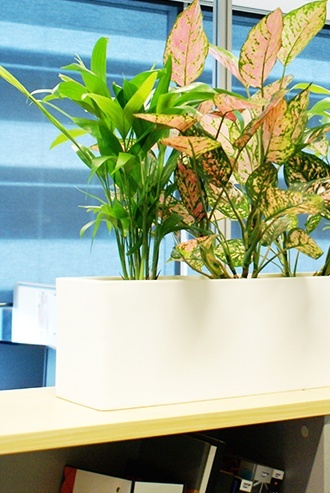 If you’re looking to boost your team’s morale with a vibrant pop of colour, red-edged dracaenas will bring a visual punch to your office space—along with some powerful health benefits. Most dracaenas have a reasonable tolerance for neglect, and won’t look shabby even when they’ve been ignored for a while, so they’re good for busy environments. They’re slow growing, but they grow tall eventually, so they’re a nice addition to austere spaces with high ceilings that need some personality. Their edgy beauty brings a striking visual element to any interior, but they’re also proven to absorb formaldehyde, xylene, benzene and trichloroethylene—compounds that are almost certainly responsible for making your workers feel ill. There are many other species of plants with a surprisingly high tolerance for indoor environments—and equally as powerful air filtration abilities—if you know where to look. However, many do have specific care needs, and there are many different levels of suitability for public spaces, so it’s always best to consult a plant expert before deciding on which plants to bring into your workplace. 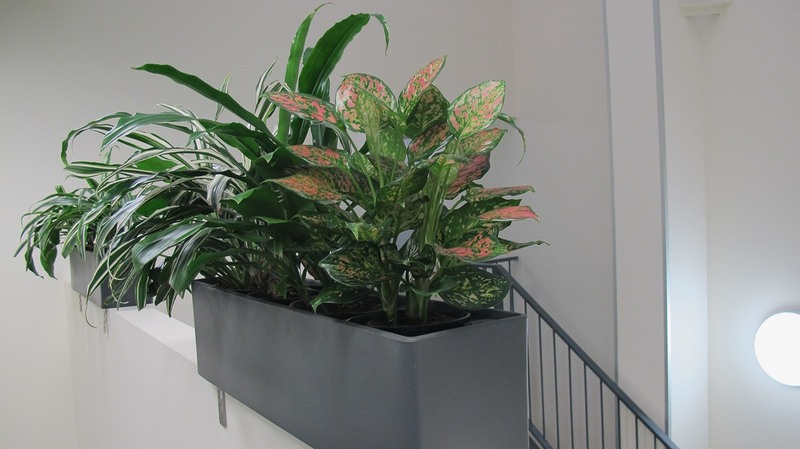 At Prestigious Plantscapes, our fully trained plantscapers can find the perfect solution for your indoor space, expertly crafting the aesthetic your business needs and seamlessly blending it with the health-giving properties of the right species for your unique environment. Contact us any time for more information, and we’ll be happy to bring you and your workers a more positive outlook and a breath of fresh air.